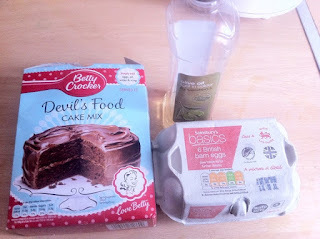 I had been looking at the Betty Crocker Cake mix for a few weeks, thinking that I didn't want to make just another cake again, and to be honest - I am a rubbish baker! I am very forgetful and often forget there is a cake in the oven. 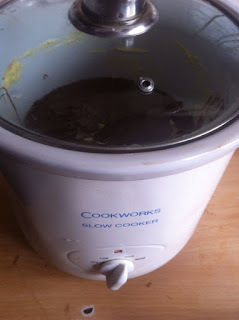 So here I was, thinking about making the cake and then I looked at my trusty old slow cooker and come up with the idea of slow cooking my cake. I took the ingredients of eggs, water, cooking oil and the Betty Crocker cake mix and whisked them all together. I greased the slow cooker pot with margarine to make sure that it doesn't stick to the sides. You could even use olive oil as it is a healthier oil to use. Then I poured the mixture into the slow cooker, trying to make sure you don't spill it on the side, otherwise it is likely to burn. 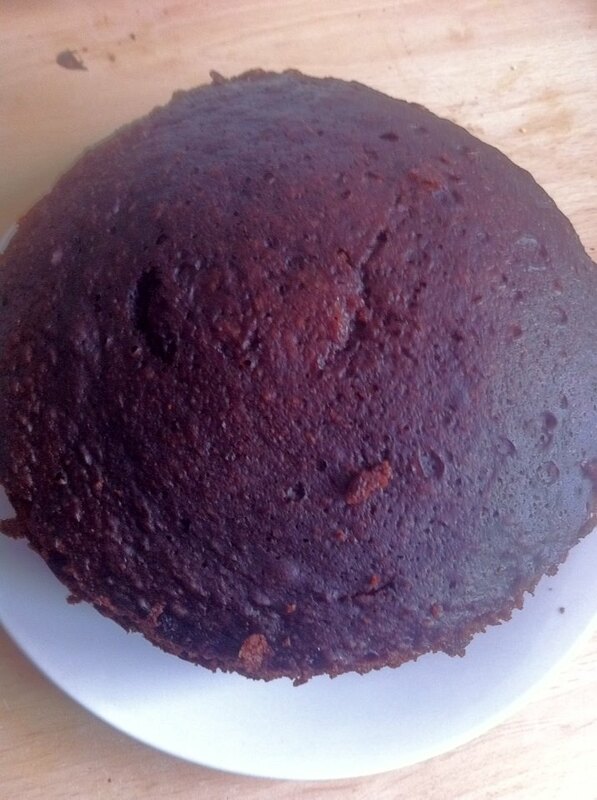 I put the slow cooker on high and let the cake cook for 1 hour 45 mins, but you could leave it for any time between 1 1/2 to 2 hours. Longer if you decide to put the slow cooker on low. The cake seemed to take a while to start to set, but suddenly it set really quickly. 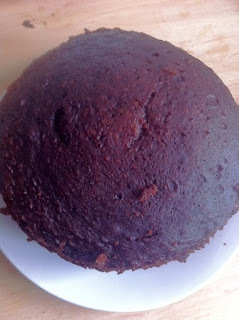 The cake actually came out of the slow cooker in one piece! I was so surprised with this, normally I try to take the cake out of an oven tray and it breaks in to pieces. But the slow cooker pot is going to be hot and you are likely to burn yourself if you take it out too soon. The pot is deep and there is a lot of heat in there, especially after cooking for up to 2 hours. 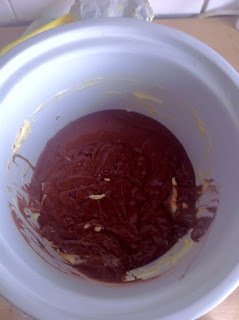 If the cake doesn't want to come out in one piece, you can cut slices from the pot, it will taste equally nice. 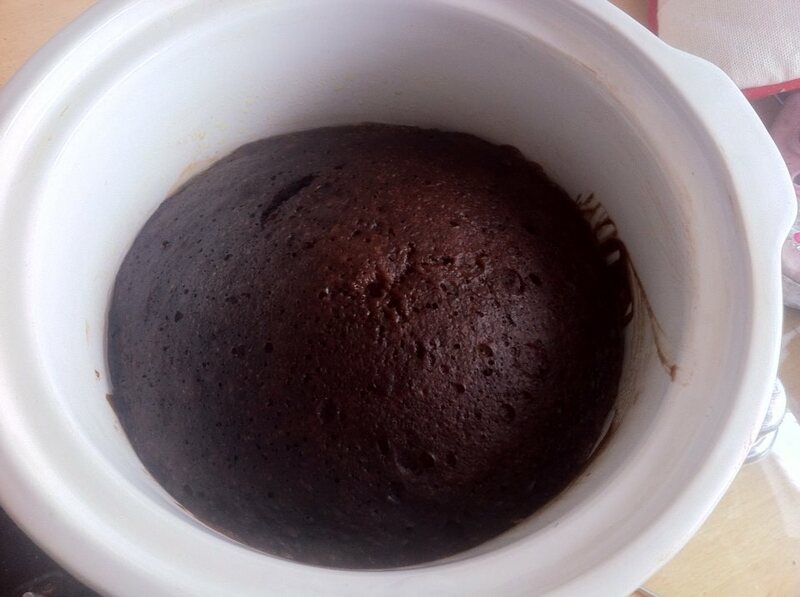 With putting the cake in the slow cooker, there was no burning on the top, like you can get in the oven. The cake was light fluffy and spongy. We served it warm with Vanilla ice cream but it would be equally nice with a bit of runny cream or even some Betty Crocker icing. For more cake ideas pop over to bettycrocker.co.uk.